Who was in charge of naming these? The Waterman 94 Pen and the 95 Pencil. I know it was The Great Depression, but had imagination gone bust, too? They're a classy pen and pencil, and deserve better. The 94 pen sold for $5 and the 95 pencil for $3. That was pretty substantial for the time. The trimming was either gold-filled or chromium-plated. They were marble or agate celluloid in several colors. Recently, I was able to add a grey marble 95 with chromium trim to my collection of Waterman pencils. It is an almost green grey, and so is the darker, solid color point. The marble has red veining--subtle, but attractive. The top has a molded bullseye instead of a jewel, and screws off to access the eraser. There is no printing on the clip, and just a nice, subtle design on the center band. The imprint is on the back of the cap, and says, "WATERMAN'S, Reg. US Pat. Off., Made in USA." The 95 pencil uses the standard 1.1 mm lead. Perhaps you saw the brown agate 95 with gold-filled trim I showed earlier. See the blog page Made for Each Other. 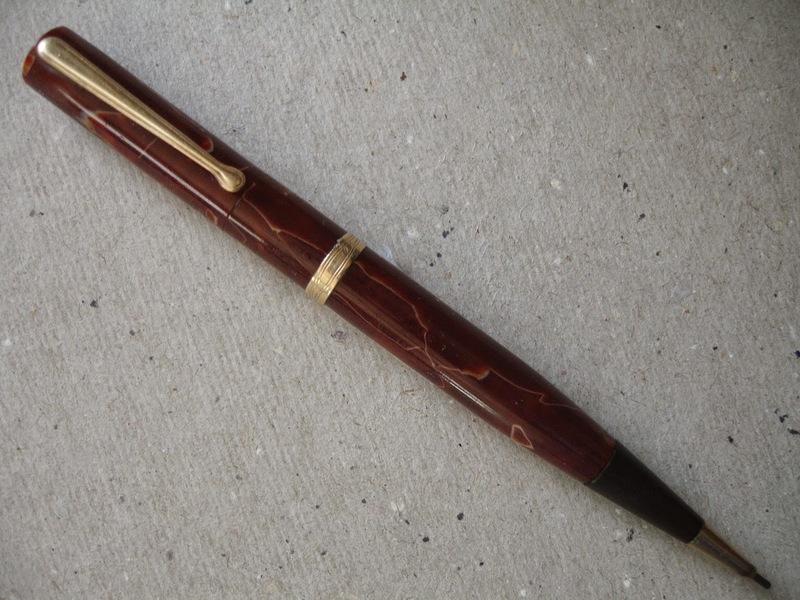 Another very attractive pencil from the 1935-1939 era. But back to the name---so boring, not at all distinctive! How about naming the 94/95s after the High Line? 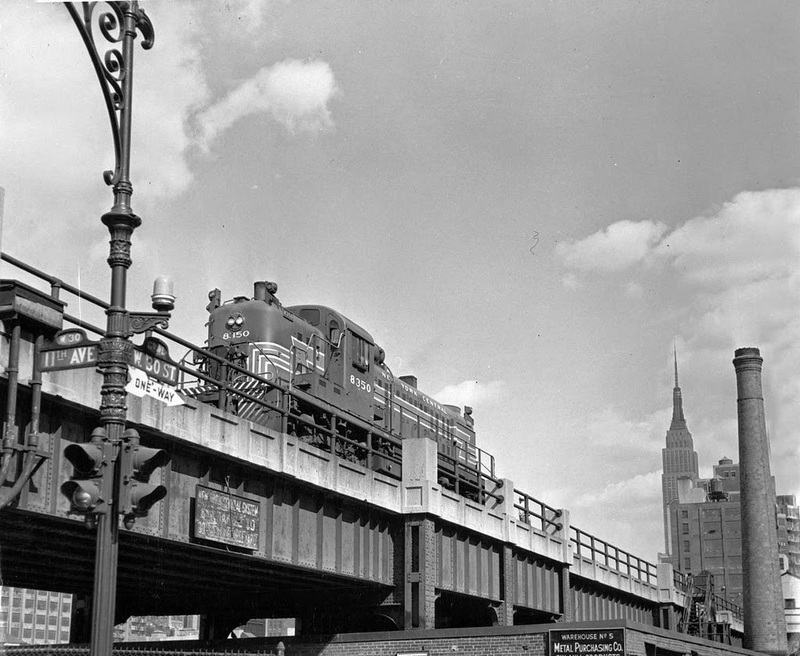 It was that famous New York City rail line which opened in 1934, and is supposed to be making a comeback this year. See more at the High Line website. The more I think about it, the more I like it! The Waterman "High Line!"